5. You will receive a copy of your application via email when it has been successfully submitted. In order to ensure a high standard for artworks, the Fibre Art Show is a juried show. ArtWalk is open to all artists residing in the Okanagan. All entries must be original pieces of artistic merit and will be judged by a committee. 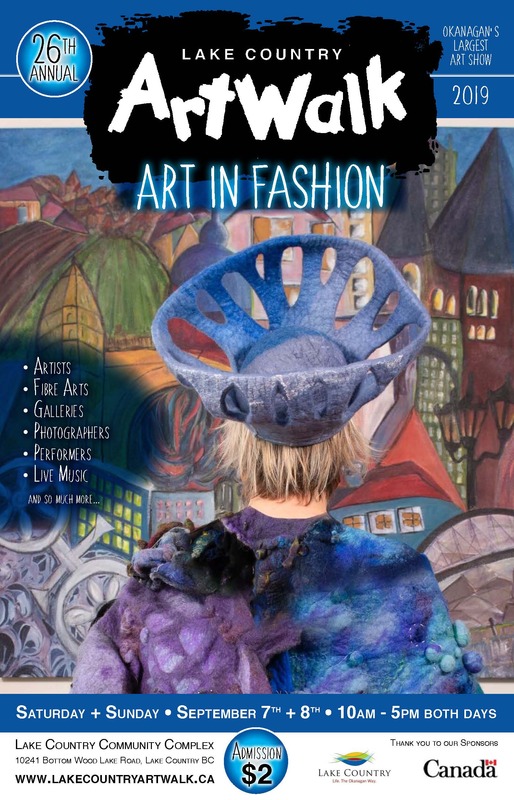 The term fibre art includes wearable art and wall pieces (2D and 3D). Quilted entries must consist of 2 – 3 layers and be quilted either by hand, machine or a combination. Please list 5 to 10 works for judging. They should be an indication of the type and quality of your work. The jury will consider works that are in-progress. Entries must not have been exhibited at previous ArtWalk shows. The fee for exhibiting fibre art at ArtWalk 2018 is $5.00 per item exhibited (payable by cheque or e-transfer upon acceptance of works). If the works brought to ArtWalk to not meet the quality standard on which you were juried in, the Committee reserves the right to remove those works or ask you to replace them. Jurying will be complete and accepted artists will be notified before the end of July. Artists must be available for set-up at a specified time on Friday, September 6 and for their scheduled time during the event. Artists in the past have found it valuable to stay with their work and interact with visitors during the two day event. Do you have a minimum of 5 examples of your artwork and images of these works prepared to upload? All artists will be notified in July as to whether they are accepted or not.